Keywords: Firm Value, Financial Performance, Ownership Structure. 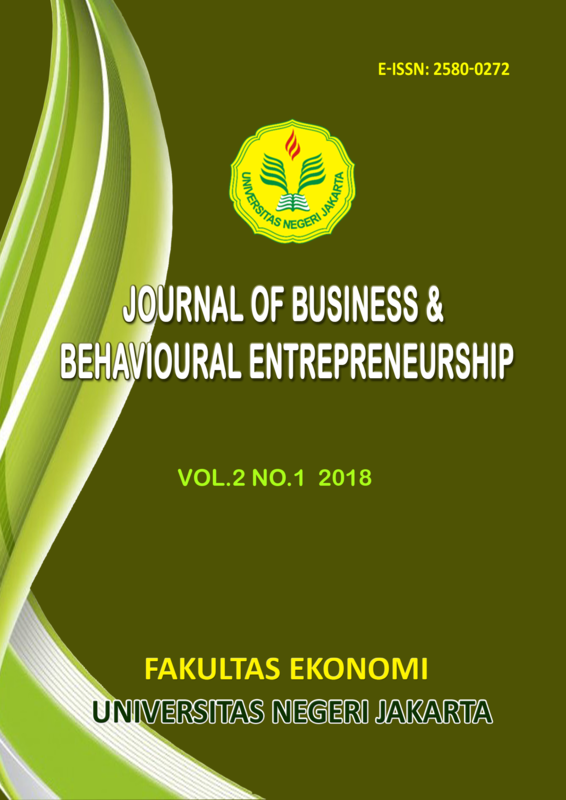 The aim of this study is to determine the effect of Financial Performance toward Firm Value with Ownership Structure as Moderating Variable on Manufacturing Companies Listed in Indonesia Stock Exchange in The Period of 2012-2016. Independent variable of this study is Financial Performance with Return on Assets as a proxy. Dependent variable of this study is Firm Value with Tobin’s Q as a proxy. While moderating variable used in this study is a mechanism of Corporate Governance in the form of Ownership Structure with Managerial Ownership and Institutional Ownership as the proxy. Then control variable in this study are Firm Size and Leverage. The research model of this study employs panel data analysis with Fixed Effect Model approach. The empirical result shows that Financial Performance has positive significant effect on Firm Value. Managerial Ownership and Institutional Ownership can’t moderate the relation between Financial Performance on Firm Value. Firm Size has negative significant effect on Firm Value. And Leverage has insignificant effect on Firm Value.